Luminance RGB Laser Light Show Projectors are certified to comply with 21CFR Part 1040. Except with respect to those characteristics authorized by Variance Numbers: 2005V-0172 and 2005V-0220. Effective: November 2012. Interested in purchasing a Laser Light Show system? Buy from where the pros buy from! CT. Lasers! CT. Lasers is a World Wide provider for professional Laser Light Show System Sales and Laser Light Show Projector Sales! 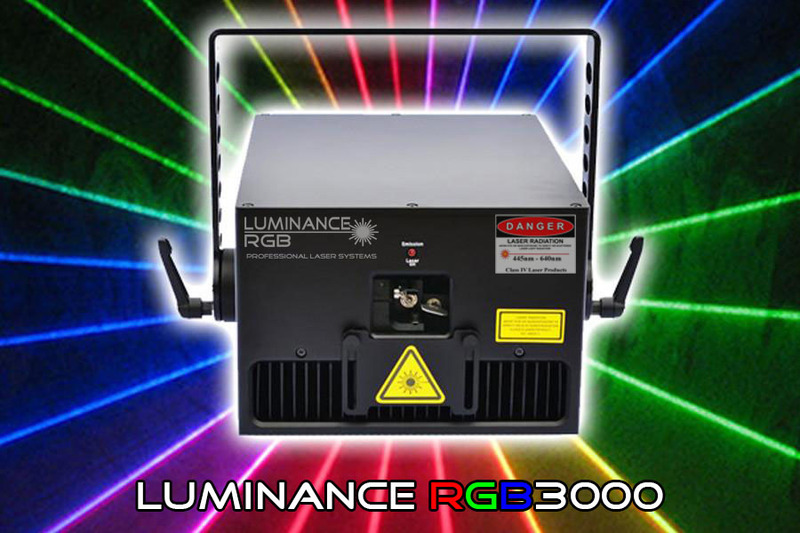 Our Luminance RGB Laser systems are used by lighting professionals, hobbyists, educational facilities, military, touring rock bands, permanent installations in sports stadiums to Laser companies around the world!! Our Laser system installations can enhance almost any entertainment venue’s atmosphere and “WOW” factor! Welcome to Luminance Laser Systems, by CT. Lasers. We make Laser Light Show System Sales, easy, understandable and affordable. Laser Light Show Projector Sales can be confusing and intimidating if you don’t know what to look for and / or what to ask. We are here to make it easy and to help guide you in your investment. Luminance RGB Laser Light Show System sales are for the professional Laser company, Production Company, Entertainment Venue or anyone looking to add the beauty and advanced technology of Lasers to their productions. LuminanceRGB professional Laser Light Show Projectors are designed, engineered and manufactured in the USA. We are dedicated to providing high quality Laser Light Show Display Systems that are both cost effective and rugged enough for the most demanding applications. Our Laser show systems have available power outputs from 1 Watt to 60 Watts and greater. Single color, multi-color and of course- Full color Lasers are all available for almost any venue and almost any production. These Laser systems are all state of the art. Utilizing the newest in solid state Laser technology which allows even very high output powered systems (10+ Watts) to all be air-cooled and powered by standard “wall power.” There is no water cooling and there is no need for 3 phase power. Laser Light Show System Sales. Laser Light Show Projector Sales. Laser Light Show Installations. CT. Lasers offers affordable, professional results for ALL of your Laser needs! CT. 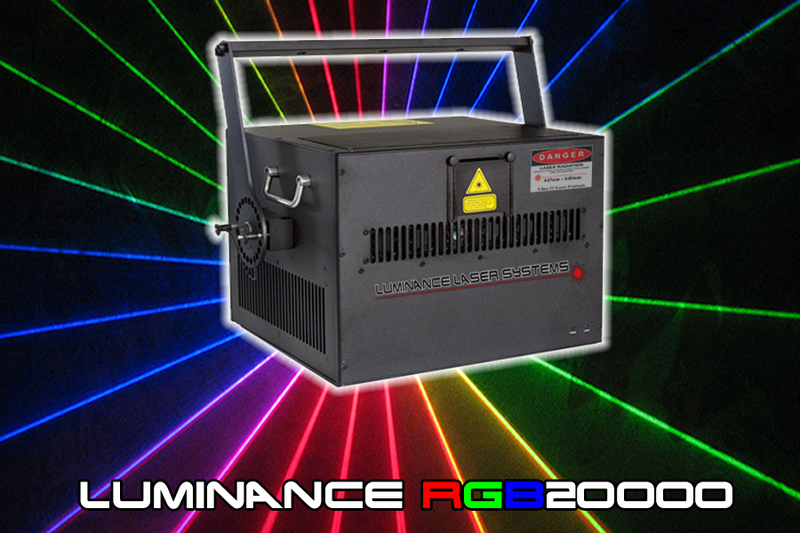 Lasers line of professional LuminanceRGB Laser Light Show Projectors are designed and manufactured for companies or individuals looking to perform “high end” Laser shows. These are Laser systems for the discerning Laserist who demands quality and years of road worthy, robust and dependable Lasers. These include Laser professionals and companies that require a rock solid, quality Laser system to perform production critical Laser displays. Components are of American (Coherent OPSL), European (KVANT Diode Lasers) and the highest quality out of China (CNI DPSS Lasers) origins. Scanning systems are either Cambridge Technology 30K – 60K systems or Eye Magic 30K – 60K systems. Power ranges from 1 Watt to 80 Watts or greater. These are good for hobbyists and/or people just starting out in this profession. These systems contain mostly Chinese components that we have deemed as acceptable and quality oriented. These Lasers allow you to “get your feet wet” and gain valuable hands on experience to advance you into more powerful and professional Laser systems. Pricing begins at approximately $2500 and powers range from about 2 Watts to 8 Watts. If you know exactly what you want in a Laser system, and you would like a quote for a custom projector, feel free to contact us for a quote. 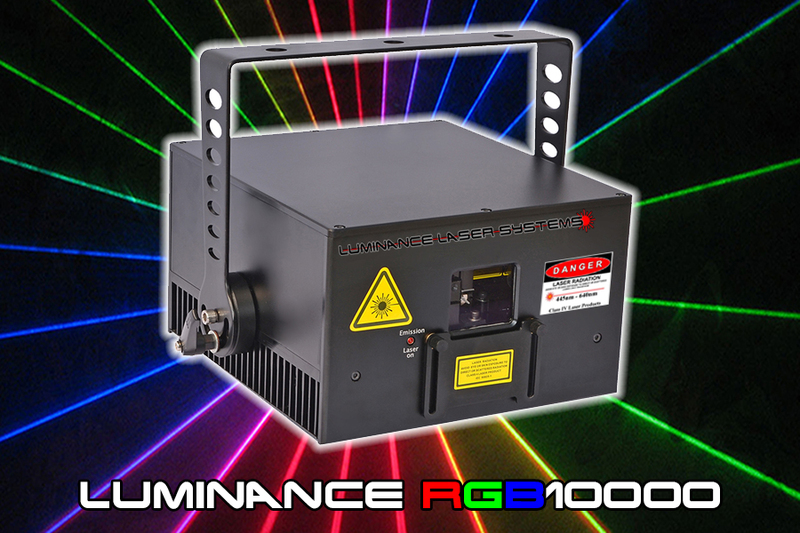 Visit our official Luminance RGB Laser systems website. All LuminanceRGB Laser Systems (Professional and Entry Level) are certified in the USA by the FDA/CDRH. 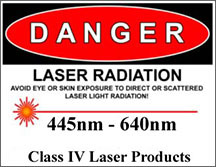 Upon sales to USA clients, we also include your Laser Operators Variance. See Luminance RGB's in Action! Check out Luminance RGB Laser Systems in use around the world. Professional or Entry Level? Which Is Right For Me? How do you know which Laser is the right Laser System for your needs? Not everyone needs a professional grade Laser Light Show Projector. And not all professionals should be looking to “save a buck” and go for an Entry Level Laser. What wattage do you need? What scan speed do you need? What Wavelengths (colors) do you need? Diode Lasers or DPSS Lasers? 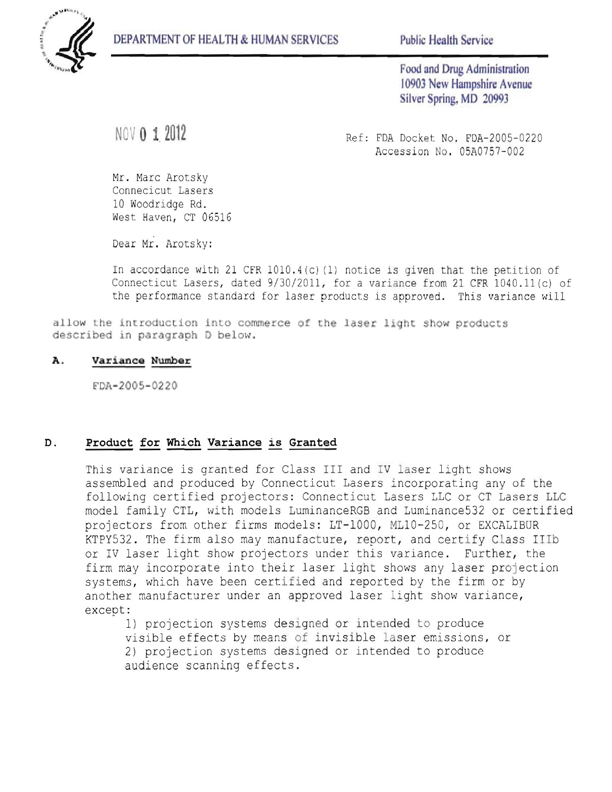 Should you invest in OPSL Lasers? Do I need a variance? Let CT. Lasers help you choose what is right for YOUR specific needs.